Last year, following the ICO frenzy after the 2017 Bitcoin bull run, the financial regulators in the United States, the Securities and Exchange Commission (SEC) started investigating initial coin offerings (ICOs) and other cryptocurrencies to make sure that they are not securities. Members of the cryptocurrency community, especially the XRP rich list became worried about the XRP security status. This is because XRP, although a cryptocurrency, has some similarities with a security asset. Any digital asset investor who doesn’t want to get into trouble with the SEC must find a way to confirm if XRP is a security or not to avoid serious penalty. Even cryptocurrency exchanges became extra careful. However, the latest decision on ICOs may change the game for XRP, Ripple and any digital asset investor who hasn’t joined the XRP rich list yet because of fear of the SEC. While many digital asset investors believed that the SEC would punish the failed ICOs with jail time and fines, they seem to be letting them off easy according to the latest report on The Bitcoinist. Rather than jail time, the SEC has ruled that the ICO projects that have violated their policies by offering unregistered securities will have to pay a fine and refund their investors. Some of the projects that were under investigations got off without paying any fine. One of the stakeholders involved in an affected ICO project Airfox, Victor Santos, said that his project was fined and that they are ready to become compliant with regulations. Airfox was asked to return the money investors paid with interest and asked to pay a fine of about $250,000. The company was also encouraged to register their tokens as securities if they want to remain in operation. How does this relate to the XRP SEC situation? If XRP is a security? What would the consequence be to Ripple? Well, Jay Clayton, the chairman of the SEC has said that many of the ICOs in existence are unregistered securities. Apart from Ethereum and Bitcoin which were cleared last year, many other cryptocurrencies are viewed as securities. The one that is of most concern to the cryptocurrency industry at the moment is XRP. Is XRP a Security? What Does The SEC’s Decision Mean For XRP? There has been a lot of tension in the cryptocurrency space regarding the XRP security status. 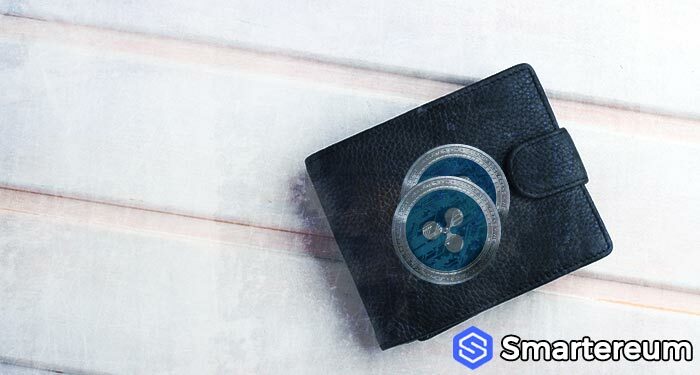 A few days ago, many members of the XRP rich list started liquidating their tokens out of fear. Many digital asset investors believed that if XRP is deemed a security, the SEC would shut down Ripple and the XRP token would be wiped out of existence. All the exchanges that have XRP listed would also suffer deadly for trading unregistered securities or so we thought. With the latest decision by the SEC regarding ICOs, the tension regarding the XRP security status will subside. This is because even if the XRP token is deemed a security, the punishment may not be as serious as we thought. Ripple may be asked to pay a fine and make some adjustments to become regulatory complaint. This may discourage some investors at first but the whole thing would blow off after a while. There is no need to panic. Are you on the XRP rich list? Have you ever wondered what would happen if the SEC decides to deem XRP a security? Do you think a requesting a fine from ICOs means the SEC is letting them off easy? Share your thoughts in the comment section.